You got a problem with Tom Brady's shaggy, new "trailer park ten-year-old" haircut? Take it up with the guy's wife. Brady, you've perhaps noticed, this season sports a messy new hairdo in which a bad case of emo bangs appears to have broken out across his entire head. There have been comparisons to Justin Bieber. Brady appeared on WAAF's Hill-Man Show this week in a segment available online. The topic of his mop-top hairdo came up, and the reviews were unsurprisingly not positive. Host Greg Hill asked, "Tom, how much cash would we have to raise for the Greg Hill Foundation to get you to cut the hair?" "You'd have to convince my wife, first of all," Brady responded. Brady also noted that male pattern baldness runs in his family. "I figure while I got it, I'm going to grow it long," Brady told WAAF. 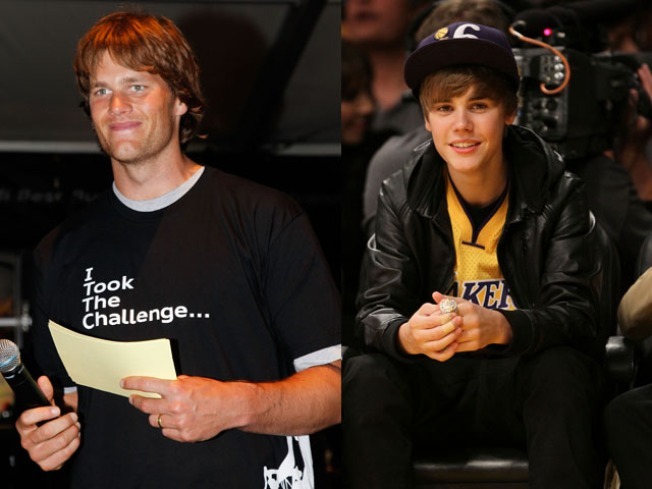 Your dad passed the baldness gene along to you, Tom Brady? That's nothing. My old man stuck me with Boston Bruins fandom. Joe Kukura is a freelance writer whose car cost less than Tom Brady's haircut.